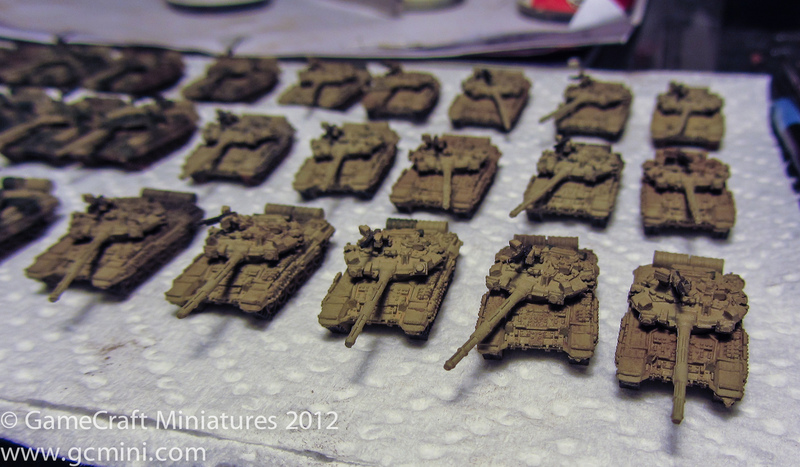 I’ve got a pretty nice size batch of micro armor that I need to get painted. 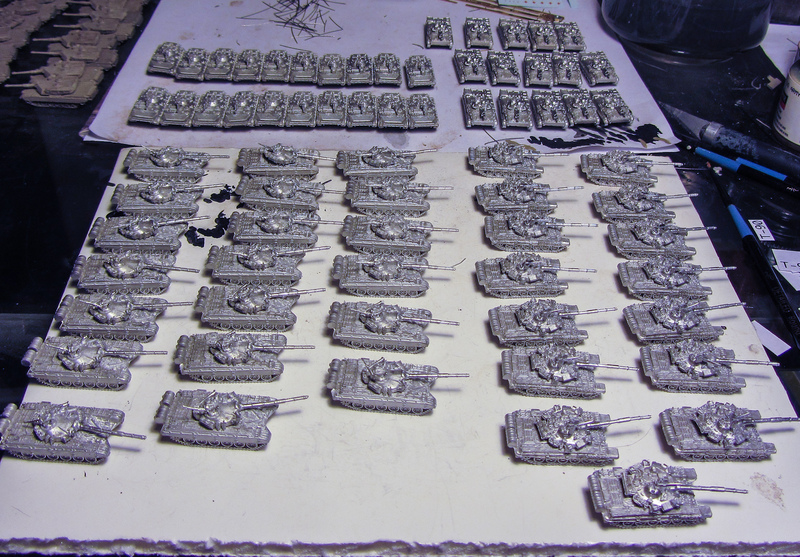 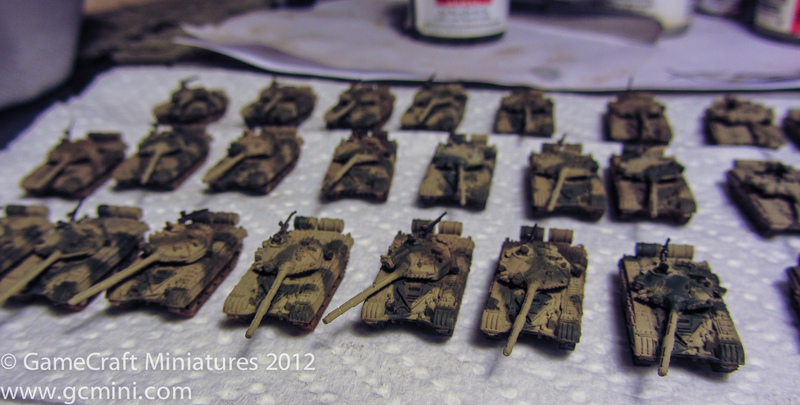 This batch includes some new GHQ BTR-T (#W90), I’ll probably wait to paint them until I get some 30mm canons from GHQ to replace the MGs that they currently have. 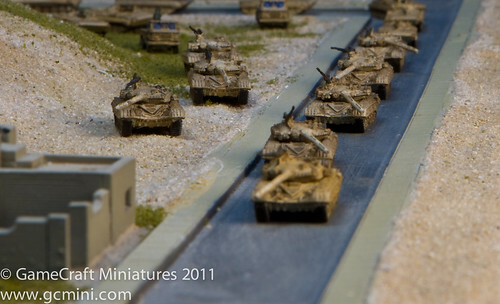 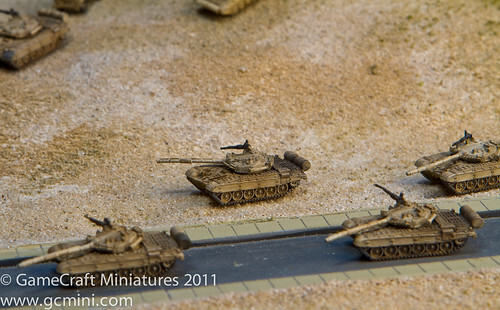 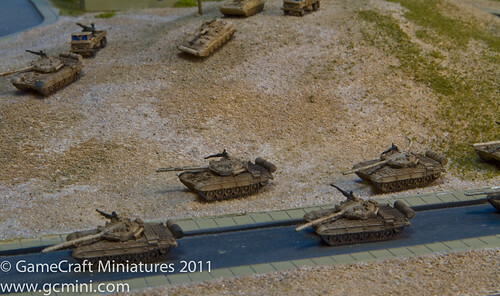 I’m trying to get some of the BTR-80/A turrets that have the 30mm autocanon on them to convert these BTR-Ts. 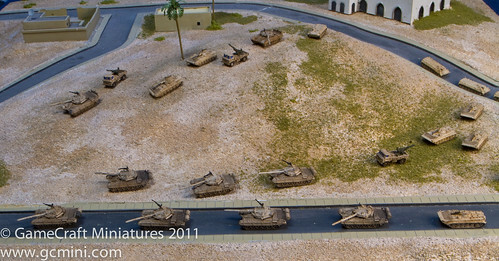 All of the Abrams on the right side of the photo are the TUSK version, the ones on the left are M1A2s that have been upgraded with the TUSK bits on the top of the turret but not the extra armor on the sides of the chassis. 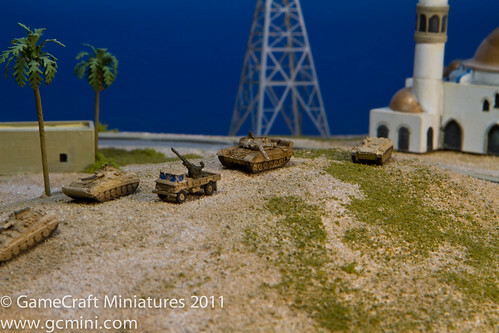 As someone that always plays the Americans sometimes you need something to shoot at … so I started putting together some Iraqi Republican Guard units.